Required notice from the Virginia State Bar: CASE RESULTS VARY BASED ON THE FACTS OF EACH CASE. PAST CASES DO NOT GUARANTEE OR PREDICT FUTURE RESULTS. 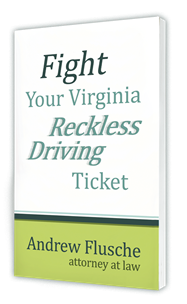 You’d be amazed at what I see when handling Virginia traffic cases. I’m personally astounded at the lack of diligence exhibited by some attorneys. A few weeks ago in Stafford General District Court, I was checking over an officer’s calibration certificates for my client’s reckless driving by speed case. An attorney before me had already looked at the certificates, but I always check myself. I can’t believe how many attorneys don’t check the certificates. In this case, I noticed that the actual date when the tuning fork calibration was performed was close to the 6-month window allowed by 46.2-882. I programmed my custom case management software to show me the correct window at a glance, so I can easily catch things like this. When I noticed the close calibration date, I looked more closely at the dates. And sure enough, the calibration was about a week too old. 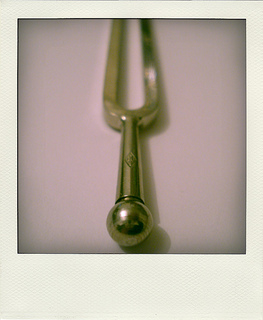 By law, that certificate was no longer admissible to prove that the officer’s tuning forks were accurate. Without accurate tuning forks, he couldn’t prove that his radar was accurate on the day in question. I try to resolve things in an amicable way, so I pointed out the issue to the officer. He didn’t even realize there was a problem, and knowing this officer, I don’t think he had any intent to mislead anyone. The officer agreed to drop my client’s misdemeanor reckless driving charge. Without closely examining the calibration certificates and carefully checking the dates, my client would have probably been convicted of some type of offense. If your attorney isn’t doing this, he isn’t doing his job. I’m a big believer in building cordial relationships with officers, prosecutors, and court personnel. But there’s always a way to politely check the evidence to investigate the case while still negotiating the case with the officer.